If you are thinking about purchasing a new full-size pickup truck, then you should keep your radar on the 2018 Ford F-150. Scheduled to be released in fall of 2017, the Ford F-150 will offer a plethora of new features to increase utility, convenience and safety. For starters, a turbodiesel engine will be offered for the first time, and the ten-speed automatic transmission will be available to pair with most of their engines. 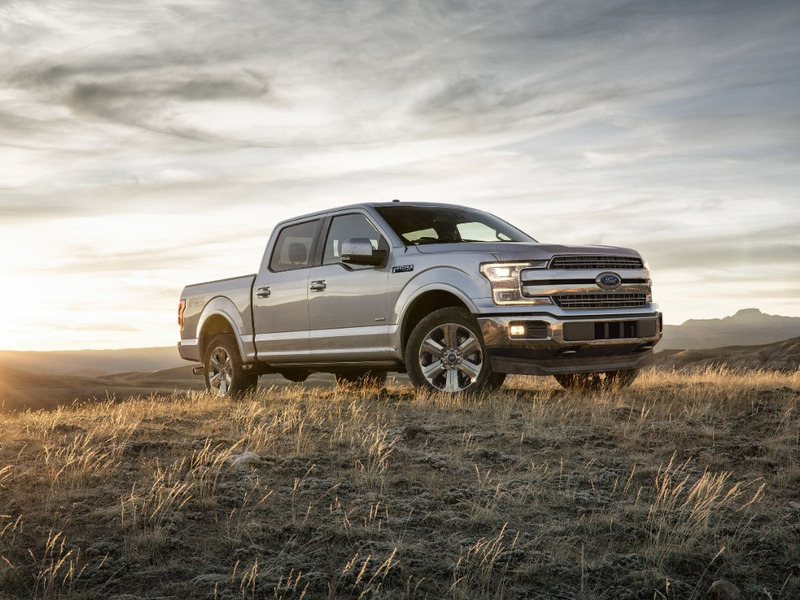 More advanced capabilities will be added to the F-150's driver assist features, such as pedestrian detection in their front collision warning system, and an embedded modem for a Wi-Fi hot spot will be available for maximum connectivity. With all of these new design and performance upgrades, the 2018 Ford F-150 is sure to keep its reputation as America's favorite pickup truck! The F-150 is rolling out some new engine options for its 2018 model. The first engine is an all-new 3.3-liter V6 engine, which is designed with direct fuel injection for higher efficiency. This engine is expected to generate 282 horsepower and 253 lb-ft of torque and will be paired with the prior year's six-speed automatic transmission. The second engine option will be a re-designed 2.7-liter EcoBoost V6 engine with both dual port and direct fuel injection, matched with the new ten-speed automatic transmission. The next option is the 3.5-liter EcoBoost V-6 engine, continued from last year and matched with the new ten-speed automatic transmission. The 5.0-liter V8 will also continue in 2018, and it has been upgraded to improve its power and torque capability. Finally, the biggest change is the addition of the turbocharged 3.0-liter diesel V-6 engine. 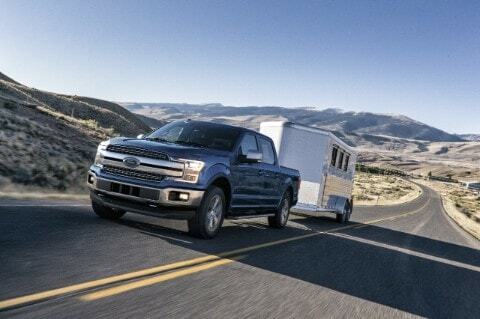 The diesel engine will allow the F-150 to work harder on the job with more fuel efficiency. Speaking of fuel efficiency, Ford is also going to equip all F-150's engines with auto stop/start technology, which will account to more savings at the gas pump. The 2018 F-150 will have new exterior updates that make this truck stand out from the rest. All models will have a newly designed grille, headlights, tail lamps and bumpers that exude a wider, more prominent stance. Adding to its broad stance, the 2018 model will offer six new wheel designs, ranging from 17 inches to 22 inches in diameter, offering greater customization. The Ford F-150 will continue to offer its three cab styles, regular, extended and crew cab. Three bed lengths will be available, depending on the style: a 6.5- or an 8-foot bed for the regular and extended cabs, and a 5.5- or a 6.5-foot bed for the crew cab style. Other trucks in this class similarly offer different cab and bed sizes, but what differentiates the Ford F-150 from its competitors is the material with which the body is constructed. Its body is made of high-strength, military-grade, aluminum alloy, which reduces the weight of the truck, allowing it to tow heavier trailers and increase its payload capacity. The 2018 model will continue with its military-grade aluminum body construction. As for technology, as mentioned earlier, a 4G LTE Wi-Fi hot spot will be available, allowing up to 10 devices to connect wirelessly. For the music lover, a Bang & Olufsen premium audio system will be available as well. Ford will continue to offer its Ford Sync infotainment system that integrates Apple CarPlay and Android Auto, allowing drivers to stream to their heart's content. When will the 2018 Ford F-150 be available at your dealership? The 2018 Ford F-150 is due to be released in the fall of 2017. Click here to go to our contact form so we can tell you when it arrives! Contact us here! Ford equips all their trucks with numerous standard safety features. For 2018, the F-150 will add several advanced safety features including a 360-degree camera system, pedestrian detection added to their front collision warning system, blind-spot monitoring with trailer tow technology, and more. We would love to tell you more about this amazing truck! Fill out the form below, call us, or come on in so that we can connect with you and then let you know when the 2018 F-150 arrives at our dealership.